The logic behind leveraging modern AI and automation technology within service desks is obvious – it gives admins a break from monotonous ticketing tasks and helps drive costs efficiency, among other features. But diving in head-first into new technology is intimidating – after all, the business depends on a responsive service desk to keep things running smoothly. 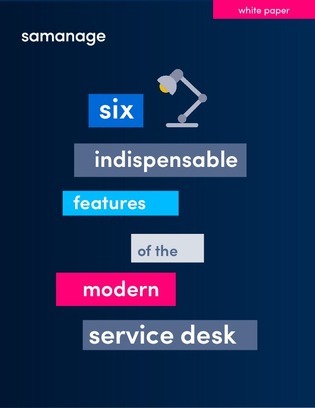 Dip your toes into the water with this guide, which highlights the six core features that a modern service desk should offer, and how technology like automation can be used to get there.